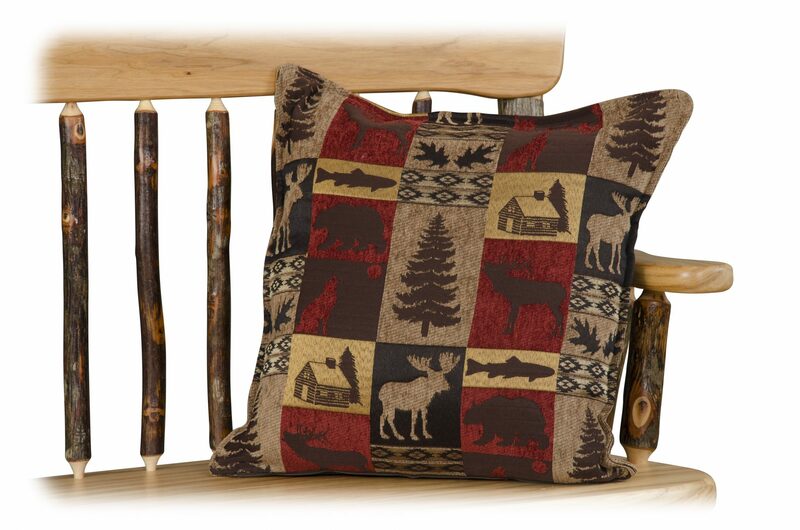 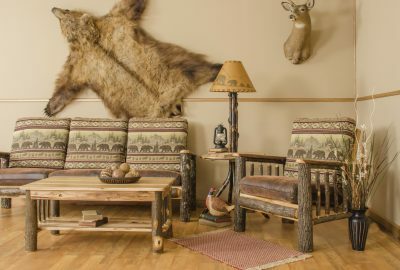  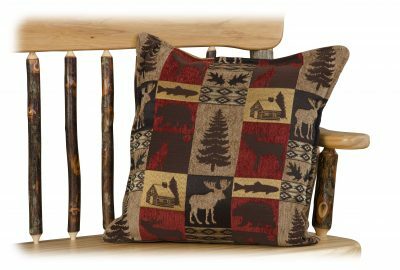 As you make the most of your new cabin, choose from a selection of furniture that was designed specifically for log cabin homes. 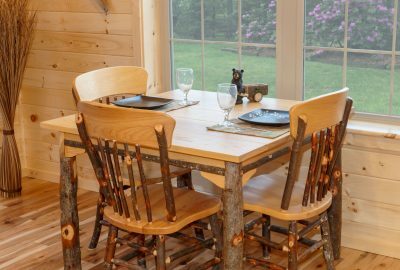 You’ve customized the perfect cabin, now it makes sense to complete that with wooden furniture that perfectly fits the space. 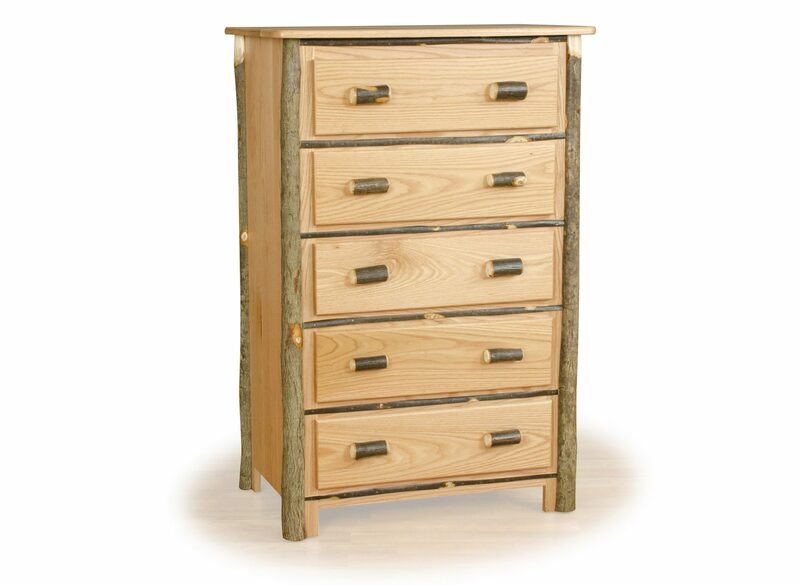 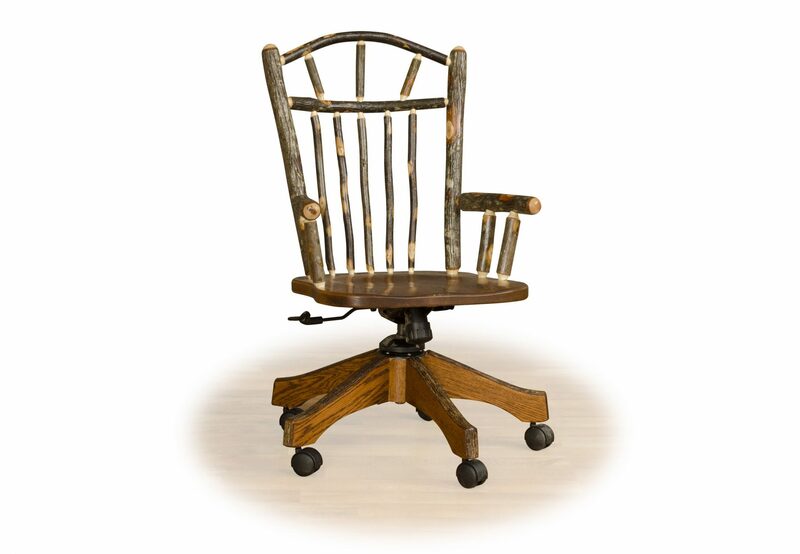 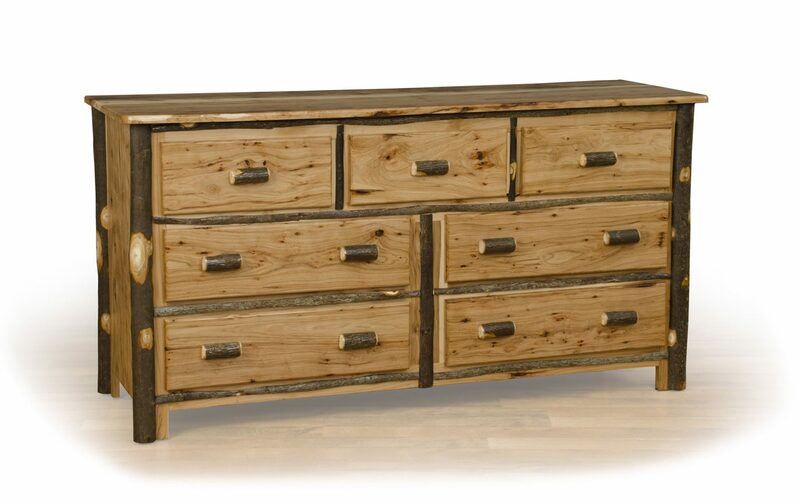 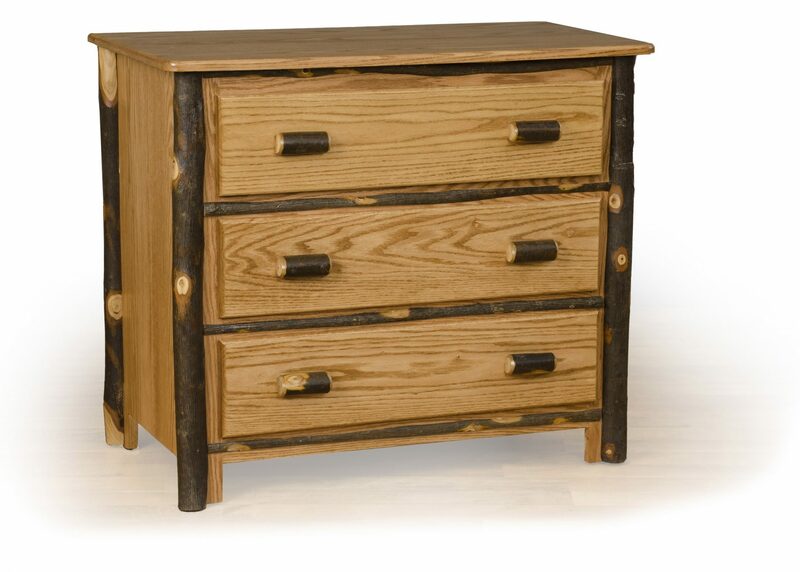 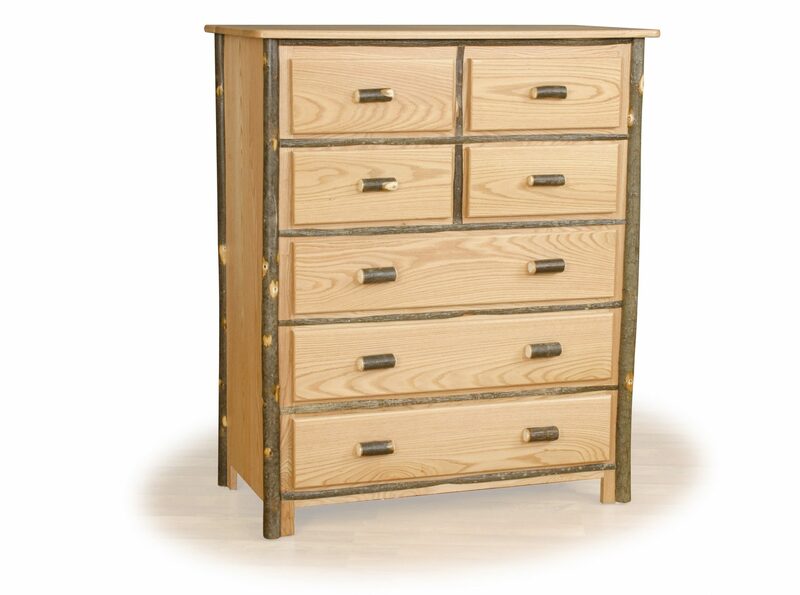 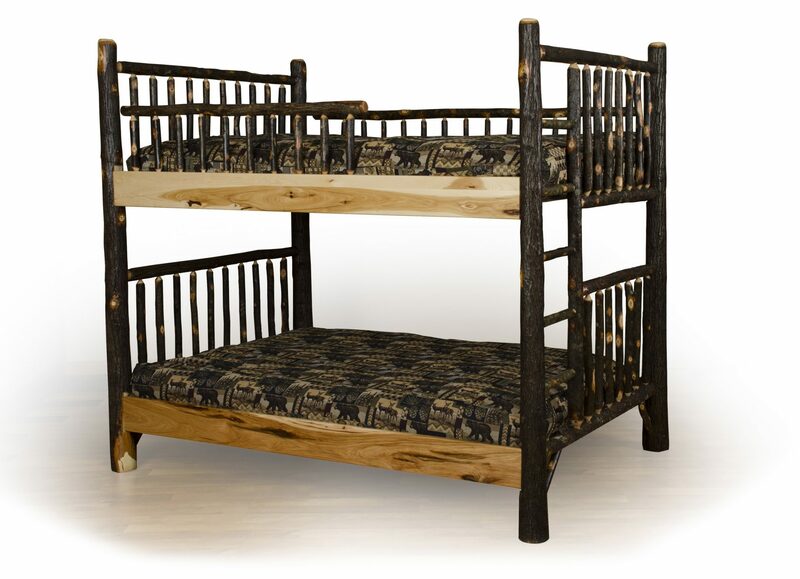 Our hickory bedroom furniture includes hickory beds, hickory dressers, desks, and more. 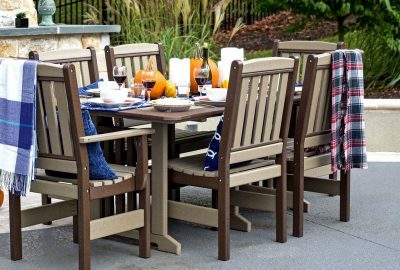 Hickory wood ranges from tan to reddish brown, and it is known for its hardness and durability…an ideal choice for cabin furnishings. Several pieces of hickory log cabin bedroom furniture can bring together a room. 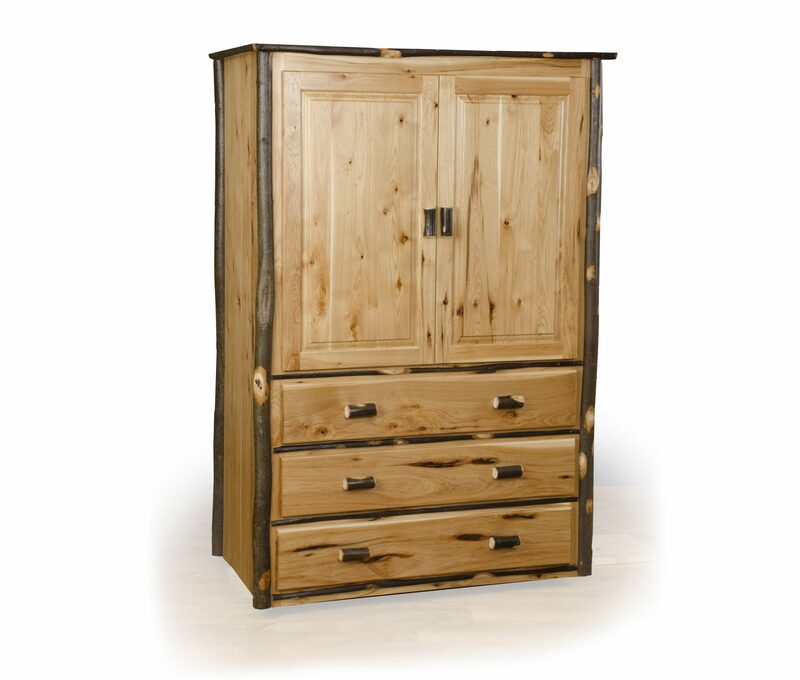 Our hickory wardrobe looks great with a mirror, then cap it off with a timeless hickory nightstand. 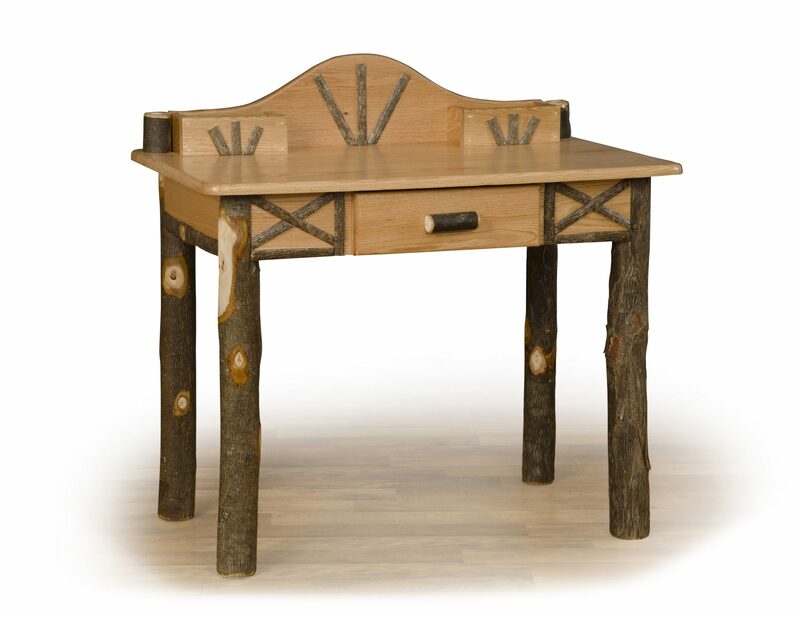 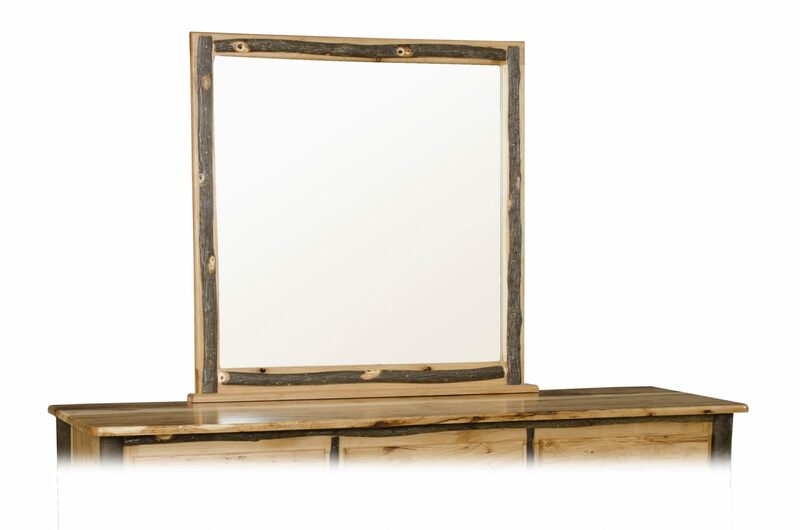 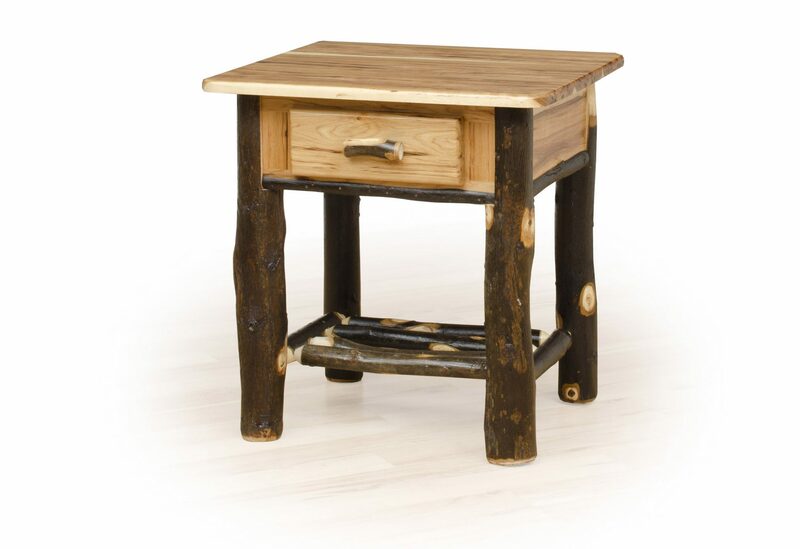 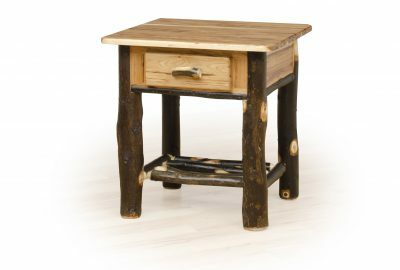 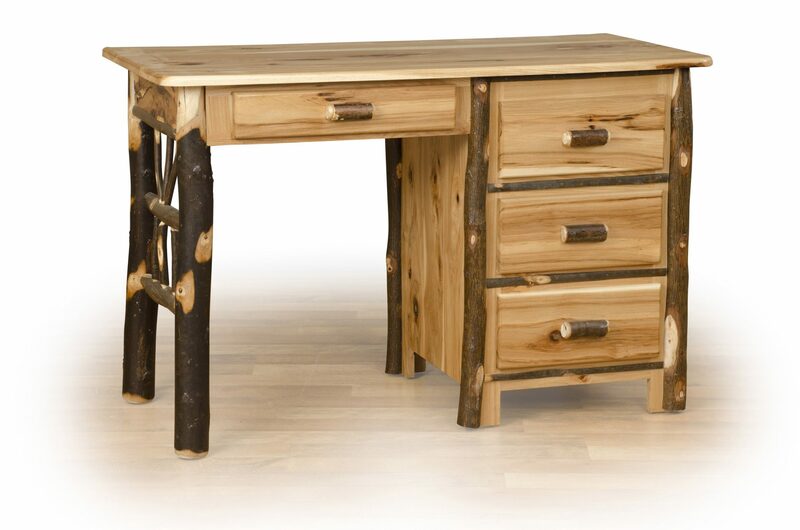 Keep the look going with a desk, and even a little rustic charm in the bathroom. 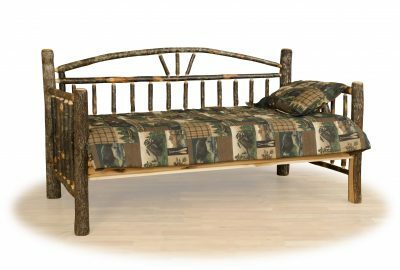 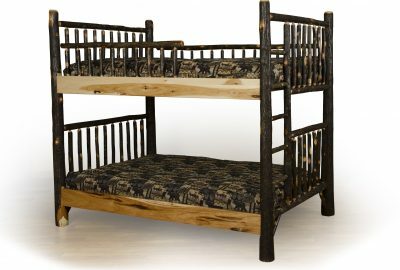 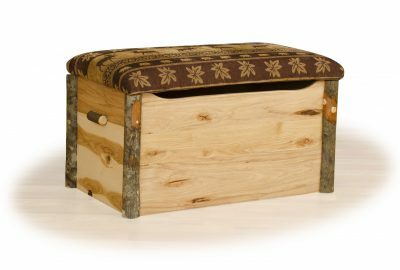 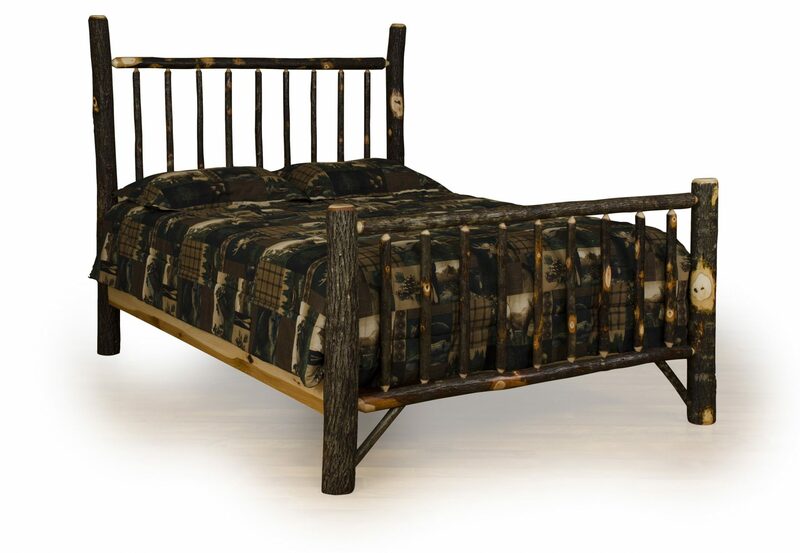 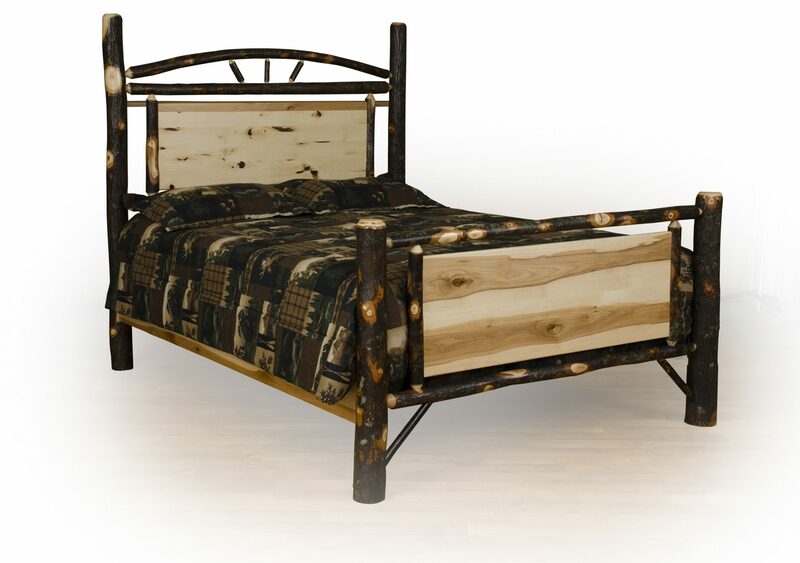 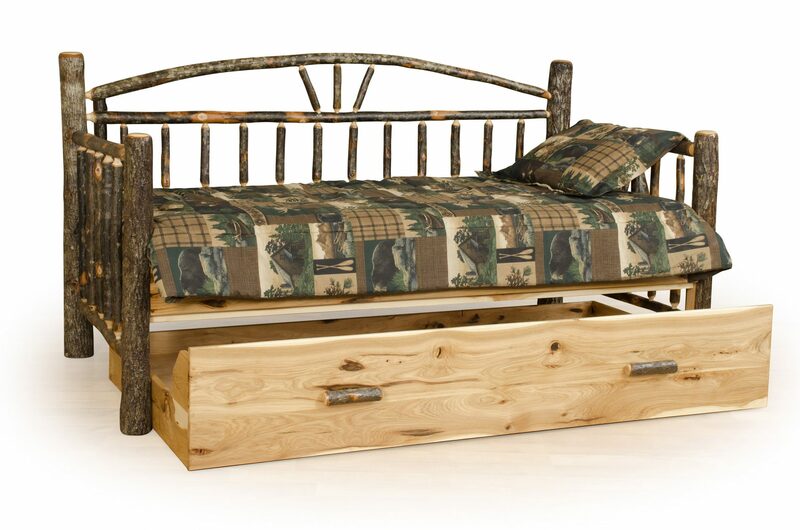 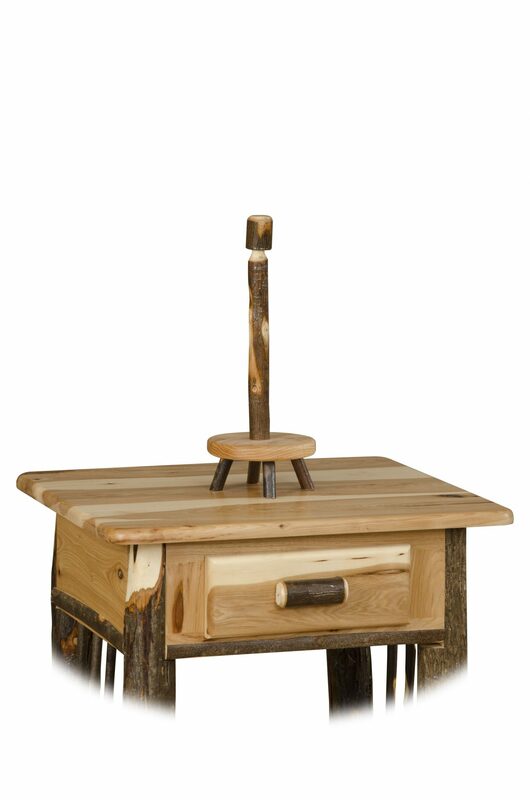 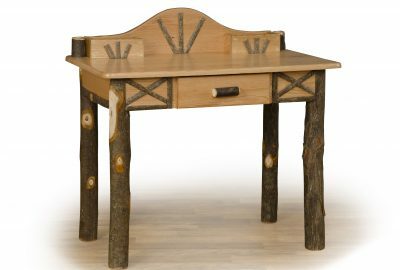 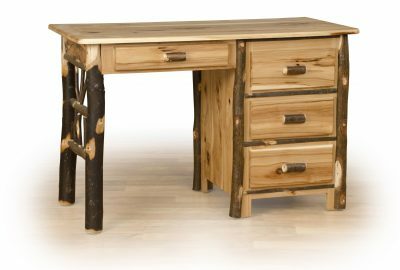 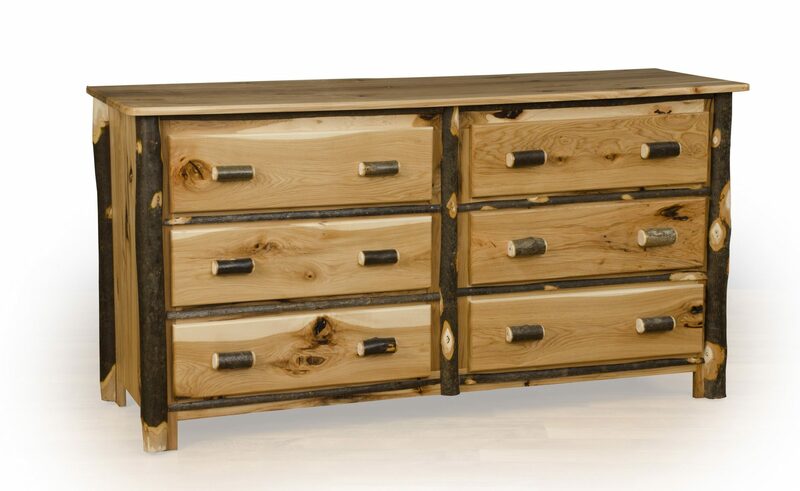 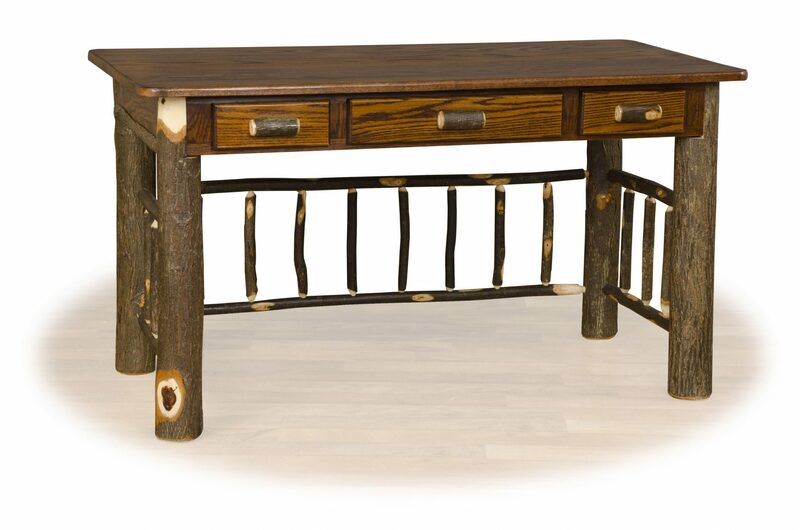 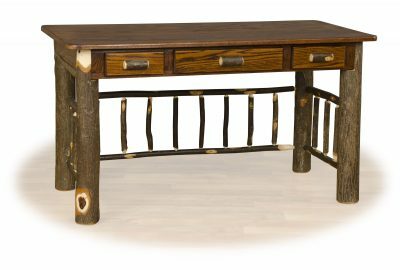 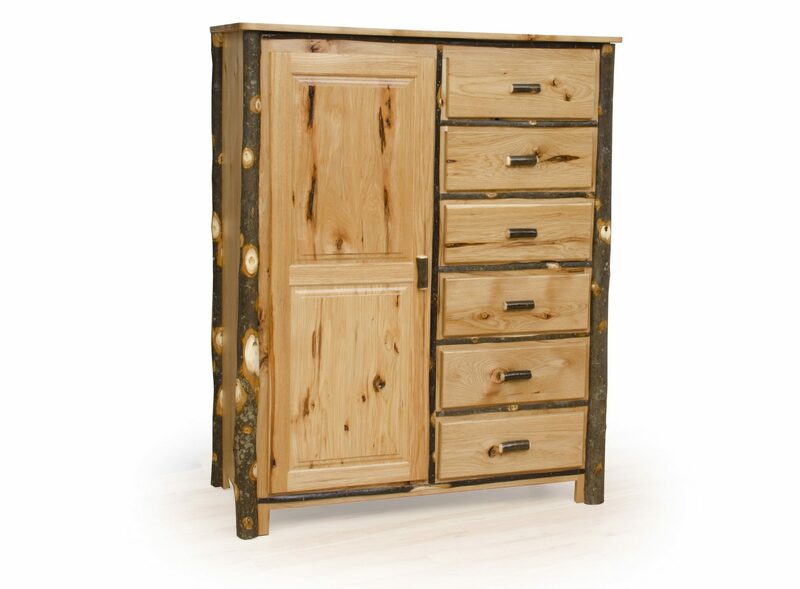 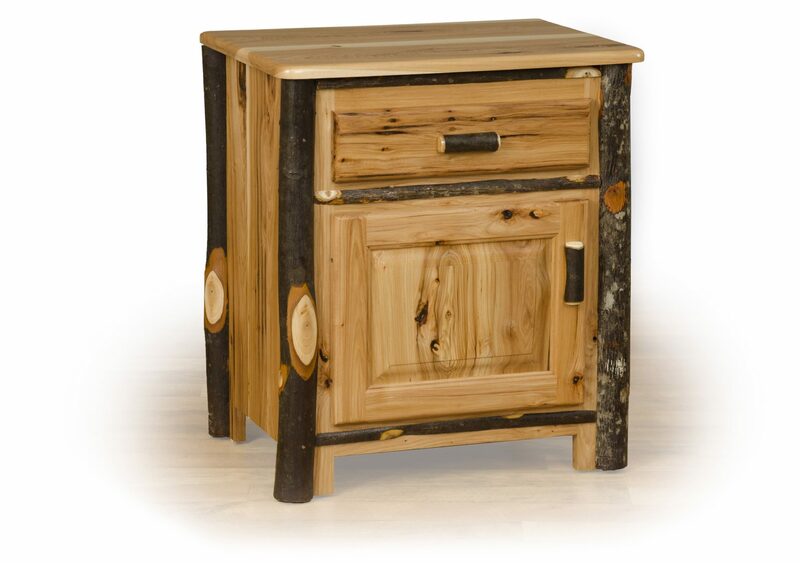 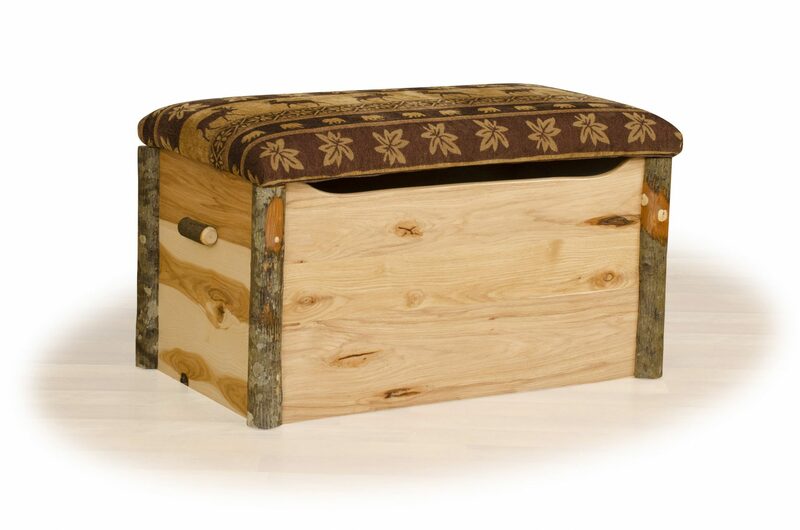 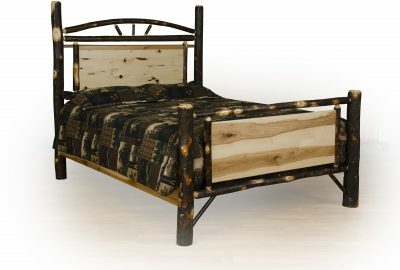 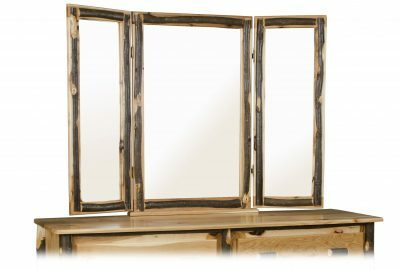 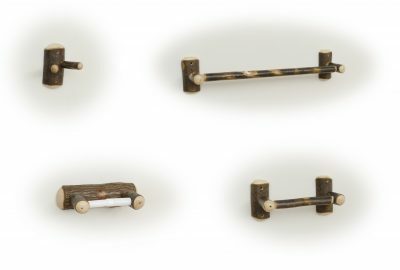 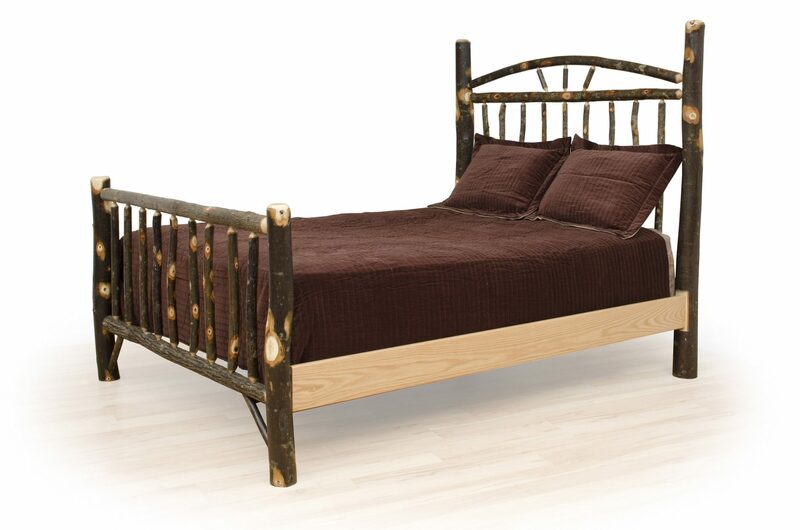 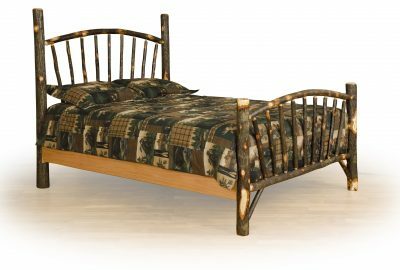 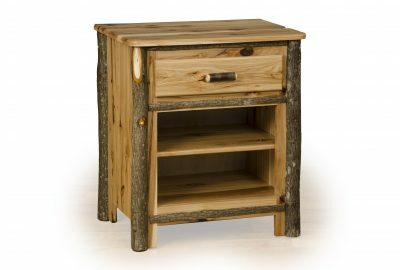 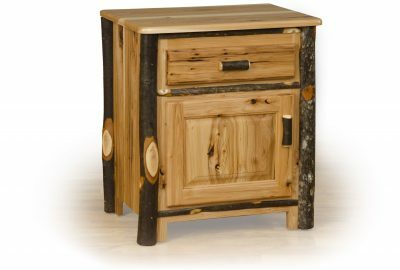 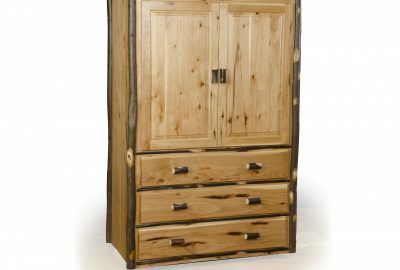 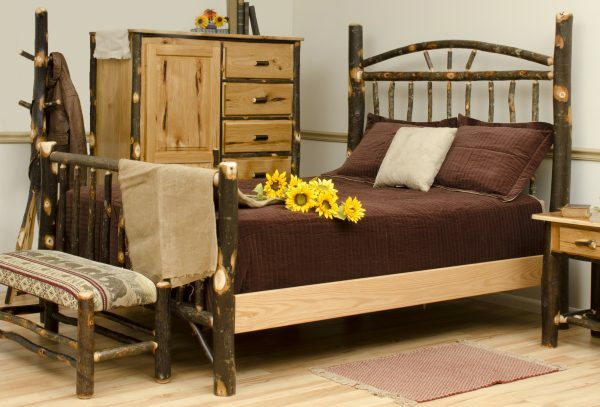 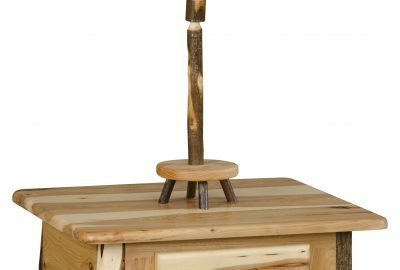 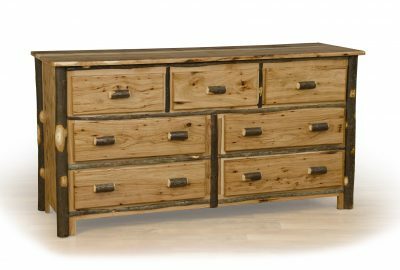 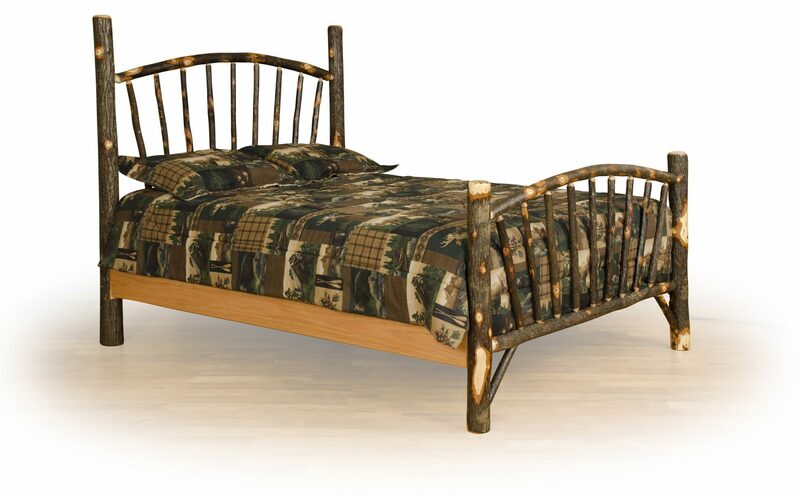 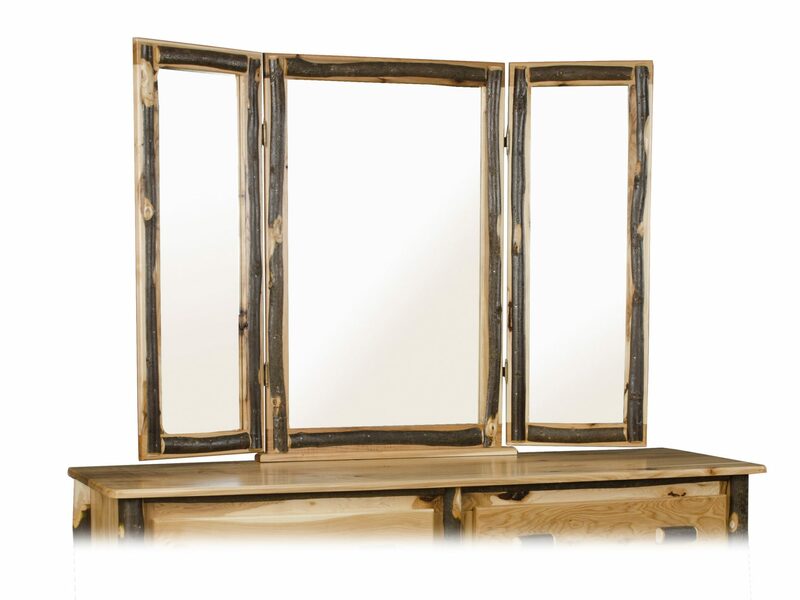 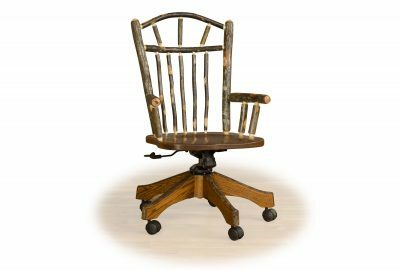 Browse these items to find the rustic wood bedroom furniture that will work best in your custom log home. Nightstands come with shelves or cabinet doors and several clothing storage options are available. 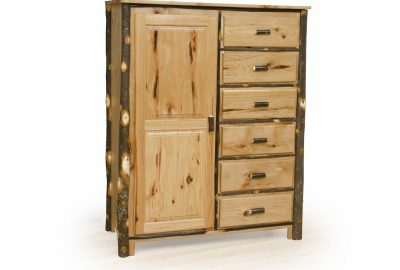 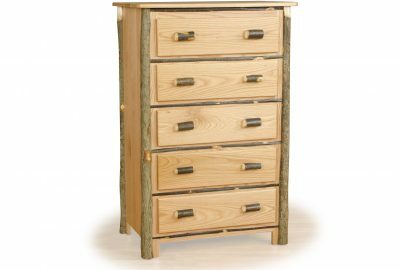 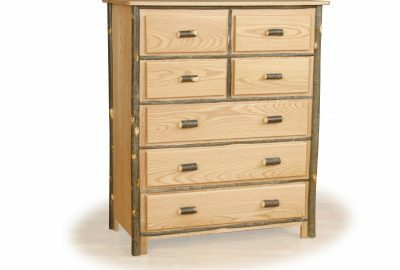 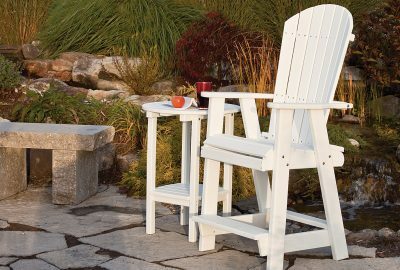 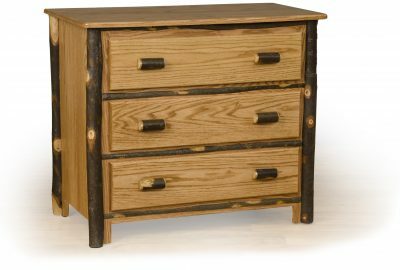 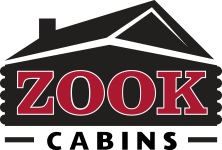 Browse these items to find the hickory wood bedroom furniture that will work best in your custom log home.